The Institute is having hostel facility for trainees and visitors. 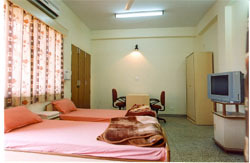 Hostel comprises both air conditioned and air cooled rooms with all related facilities. We have 18 a/c rooms, 4 suites, 9 air cooled rooms alonghwith air conditioned canteen/mess facility. The Institute provide hostel with 20 hours electricity and 24 hours water supply for all the rooms. 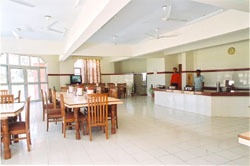 The canteen in the hostel provides hygienic and delicious food to the visitors. The college provides comfortable and pleasant stay for its trainees and visitors.